Flower essences were pioneered by Englishman Edward Bach in the 1930s. The development of other essences followed from the 1970s from countries such as Scotland, Australia and Alaska as well as the Himalayas. With Australia being abundant in plant species there are a couple of well renowned bush flower essence founders utilising Australian natives to create essences. Usually the flower is selected to create an essence, however leaves and seeds can also be used. A flower essence is the vibration of the plant infused in water. It is usually placed in the sun and/or moonlight for a few hours. Over the course of these hours the flower’s memory and vibration become imbued with the water. This becomes a mother tincture. Further dilutions are made before a person takes it as a remedy. As a remedy, plants can assist people (and animals) in various ways whether it be physical, emotional, mental or spiritual. In matters of health and health care settings the remedies are beneficial for calming, sexual misconduct, skin problems, cleansing/detoxification, working in areas of grief, emotional behaviours in general, as well as anxiety issues, relationship matters, dementia related issues and muscular aches and pains. The essences can be taken internally or mixed with creams, in water and blended together with essential oils. 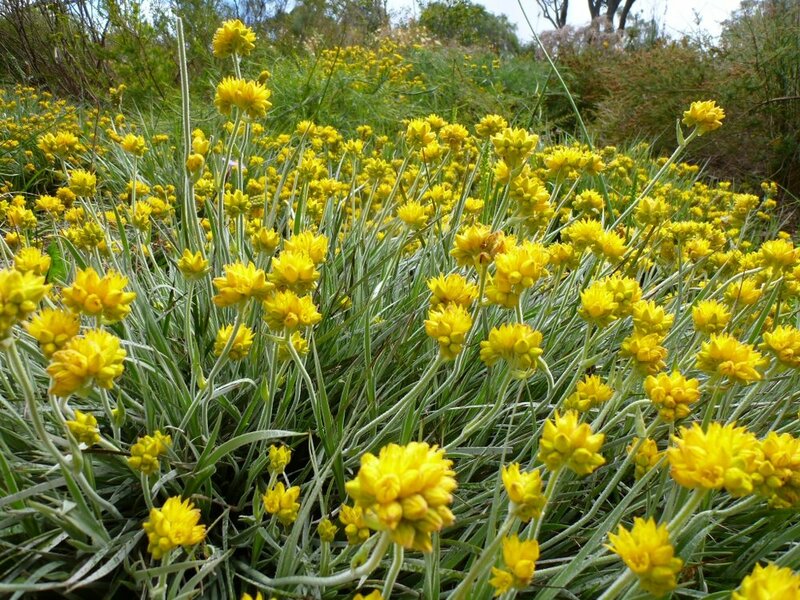 A little while ago I had the opportunity to develop my own essence from a West Australian native called the Grey Cottonhead (Conestylis Candicans – eneabba form). Early benefits appear to be that it is physically energising (excellent in fact! ), great for mental alertness and awareness of the ‘bigger picture’ and useful in communicating clearly. From traditional bush medicine methods where by the plant was picked directly from the earth and its various parts used for healing purposes or to the modern day where plants are bottled, the purpose is still the same. It is nature offering humanity a healing gift. It is nature simply at its best. Sana Turnock is Head of Academic Studies at the Australasian Academy of Wellness Therapies where she is a trainer, lecturer and assessor in clinical aromatherapy. She is an aromatic medicine consultant at Joyful Living Consultancy and will be delivering a workshop at the Women's Creativity & Walking Retreat in March. Her many publications are available at http://www.aromacasa.com/ Sana will be a regular contributor to the Edgewalkers blog bringing us latest research on native aromatic remedies and other therapies.